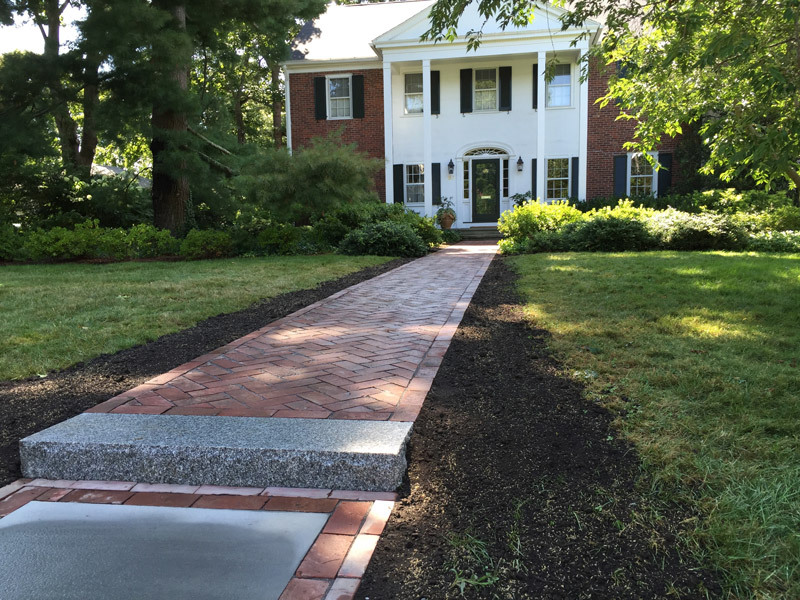 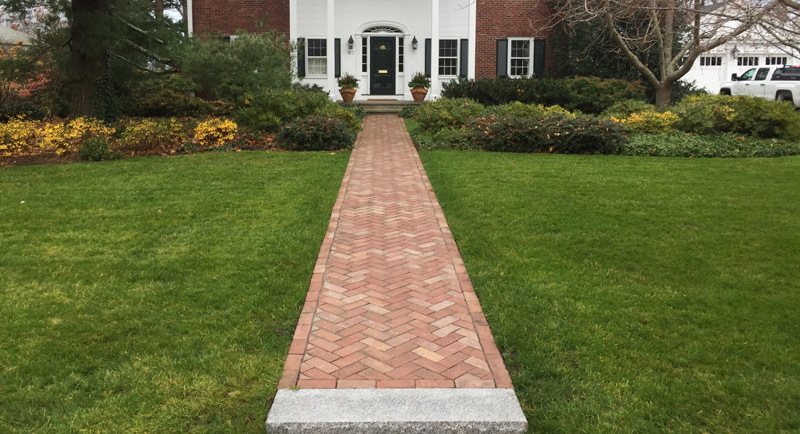 The front walk of this home was built using Barrington Brick (1912-1943). 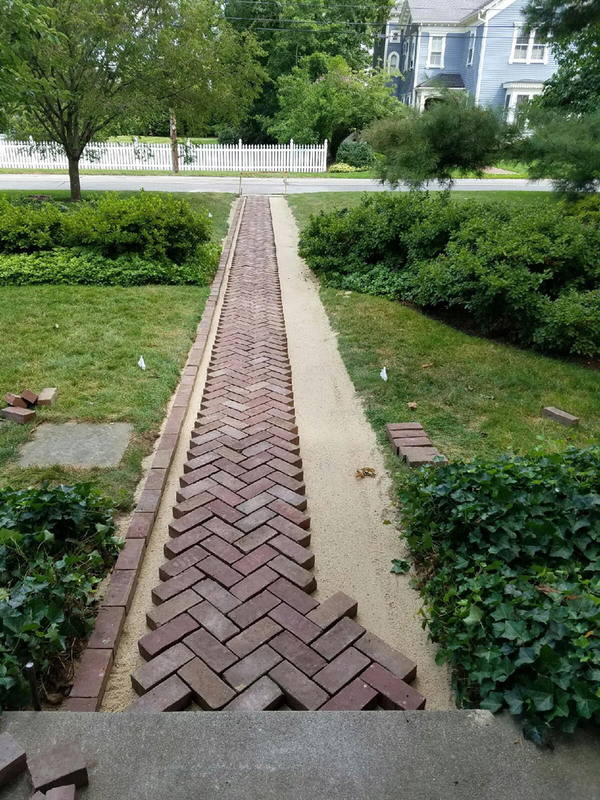 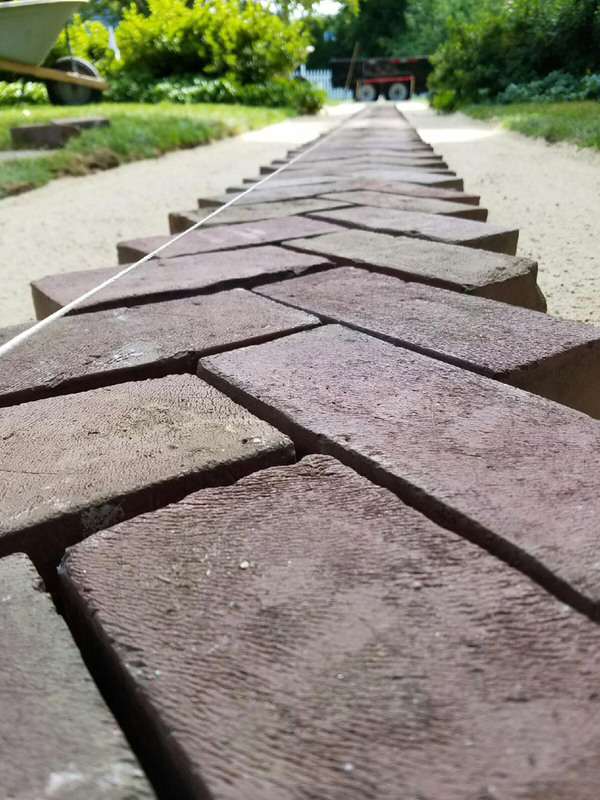 Over the years, the walkway settled and the brick was moved around by tree roots growing through the walk. 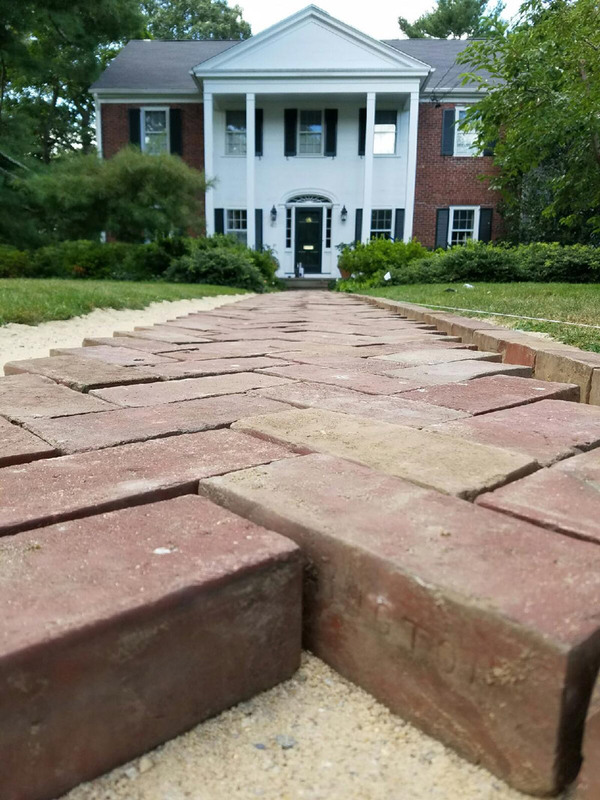 We removed, saved, and cleaned the bricks and then built a new base. 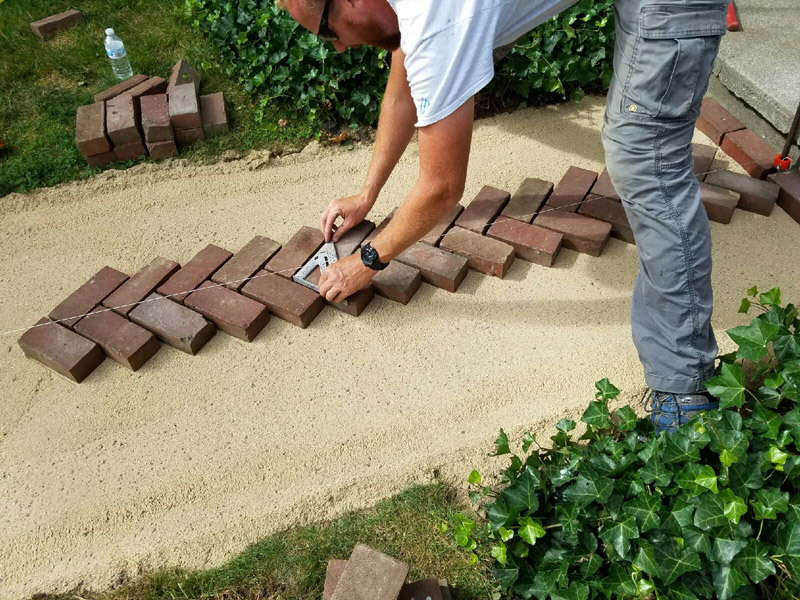 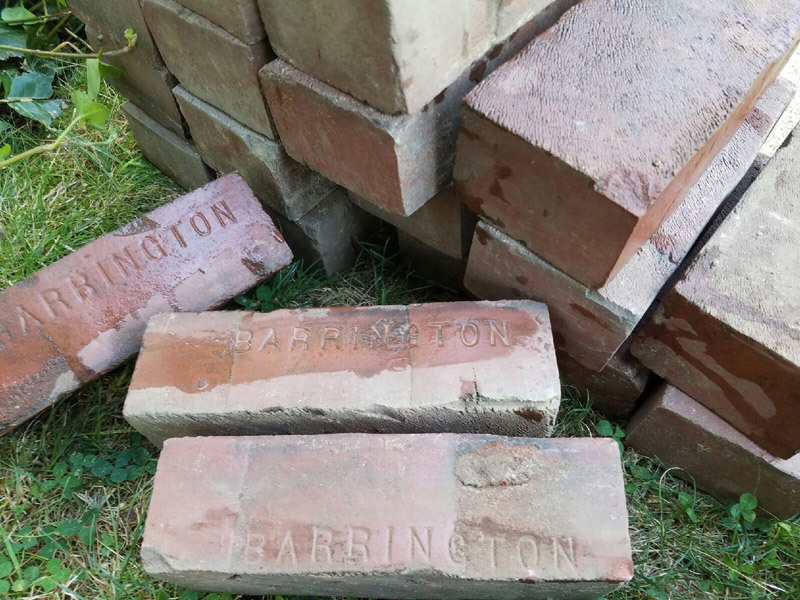 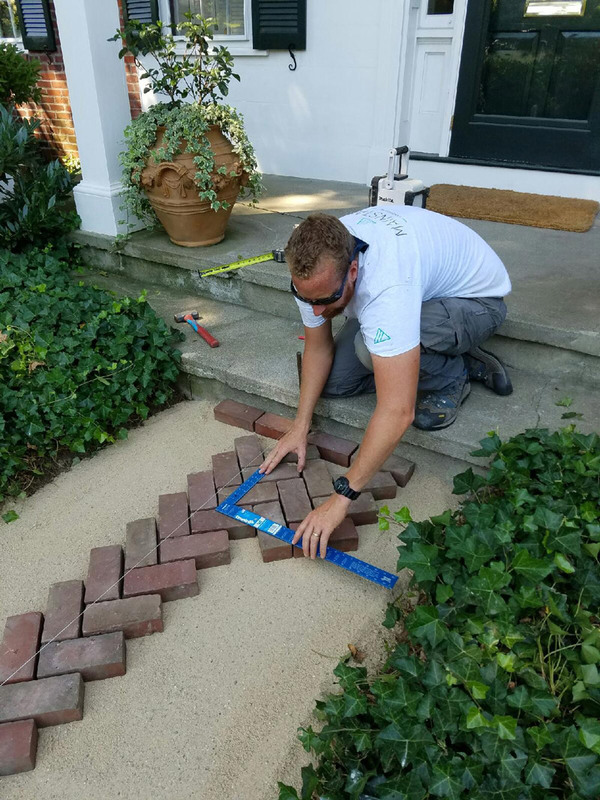 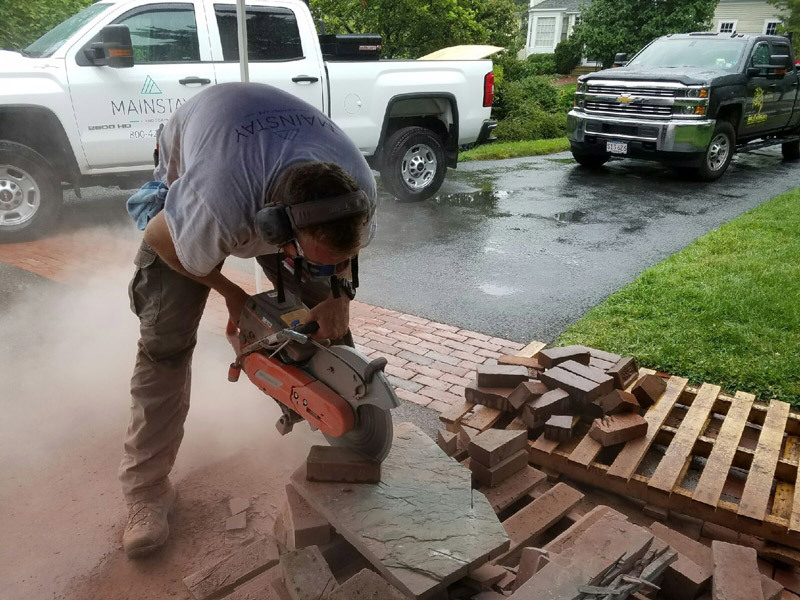 By reusing the old Barrington Brick, we kept the charm and the history of the home.